Although all of Humanscale’s CPU holders protect a user’s valuable technology investment, none are as portable as the CPU Dolly. 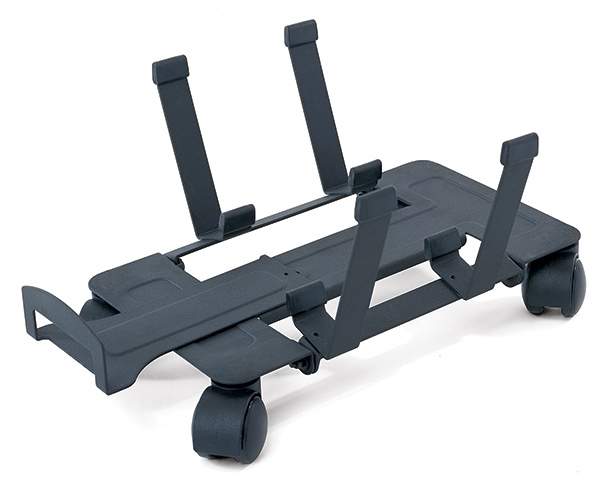 Made for workers on the go, the CPU Dolly allows users to transport hardware with ease. With no need to uninstall and reinstall hardware, the CPU Dolly travels anywhere. The CPU Dolly automatically adjusts to CPUs of different sizes. With an optional pull handle installed, moving hardware from one location to another is simple. The CPU Dolly is the perfect stand-alone CPU holder for any space. The CPU Dolly automatically adjusts to support CPUs that are up to 230mm (9”) wide, while its adjustable base handle can accommodate CPUs of any depth. 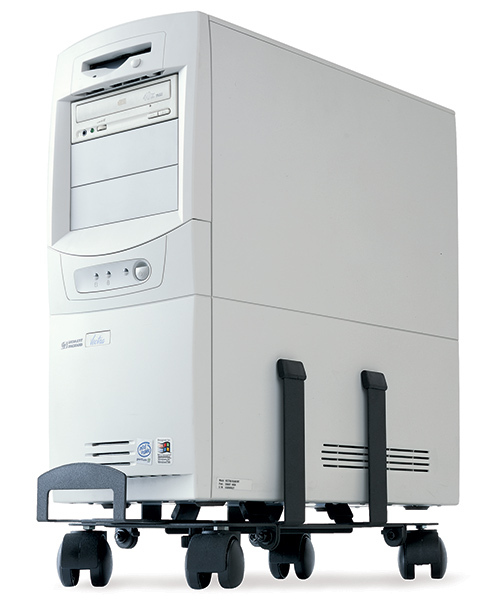 Featuring two double-wheel casters to facilitate access to cables, ports and drives, the CPU Dolly simplifies the transportation of a CPU from one location to another. The CPU Dolly is made from cold-rolled, powder-coated steel to ensure its durability. All Humanscale CPU holders come with a lifetime warranty. Created by the award-winning Humanscale Design Studio, the CPU Dolly is a simple solution for transporting technology and protecting CPUs.